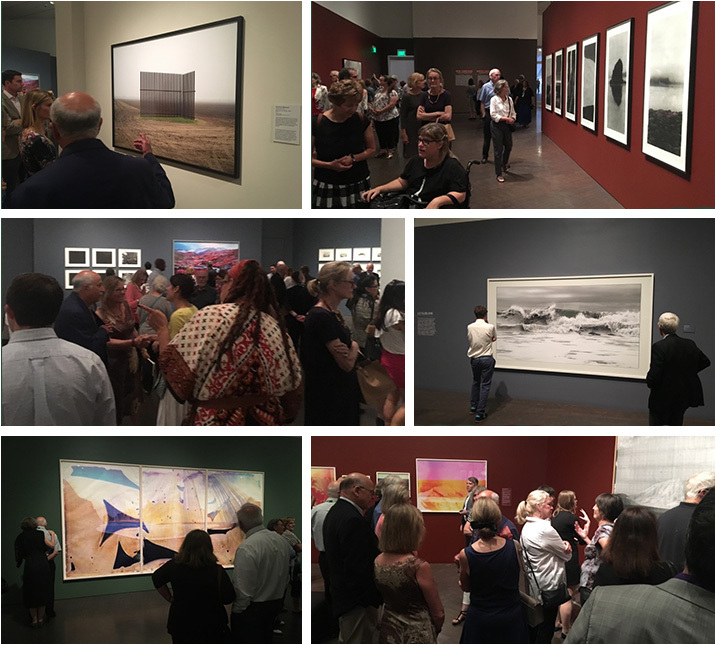 Contemporary landscape photography from around the world is surveyed in the Denver Art Museum’s summer exhibition New Territory: Landscape Photography Today. The exhibition reflects on the environmental attitudes, perceptions, and values of our time through “observed” and “constructed” landscape imagery. We challenge you to capture the essence of New Territory through a single photograph. The museum’s photography department will review submissions to select the top 10 photographs. The top 10 submissions will win great prizes from Mike’s Camera. Take or create a landscape photo that captures the spirit of the New Territory exhibition. #NewTerritoryCO and tag @denverartmuseum and @mymikescamera to officially enter. The top 10 photography submissions will be announced August 23 via this Denver Art Museum Blog and on the museum’s Instagram, Twitter and Facebook social media channels. Members of the Denver Art Museum photography department will review all of the entries. Based on their expert knowledge of the genre and image caption, they will decide on the top 10 submissions and top photo submission. Winners- 10 prizes in all! One Grand Prize winner will be awarded a Nikon D5600 Digital SLR with 18-55 VR Lens, a Mike’s Camera Perfect Picture Pak and a $100 Mike’s Camera Gift Card for a shopping spree! Nine additional runner-up winners will receive a $50 gift card to Mike’s Camera. Have some fun and test your photography skills to explore and define what new territory photography can be. Mike’s Camera is the title sponsor and one of the generous funders of New Territory. Don’t miss this visually beautiful photography exhibition, now on view through September 16, 2018.
and learn about new Mike’s Camera School programs, and be the first to know about our sales and member-only promotions.